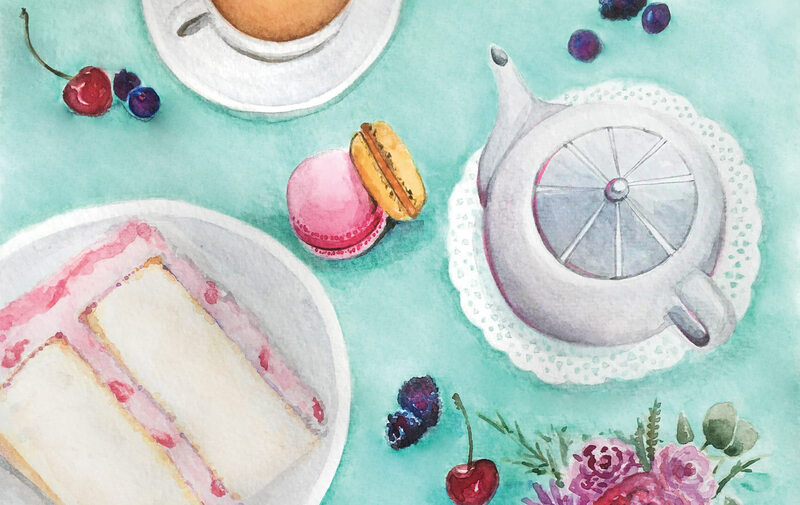 No culinary issue would be complete without a bounty of delicious recipes to try at home! For this roundup of decadent desserts, VIE sourced sweets from some of our favorite Southern eateries. 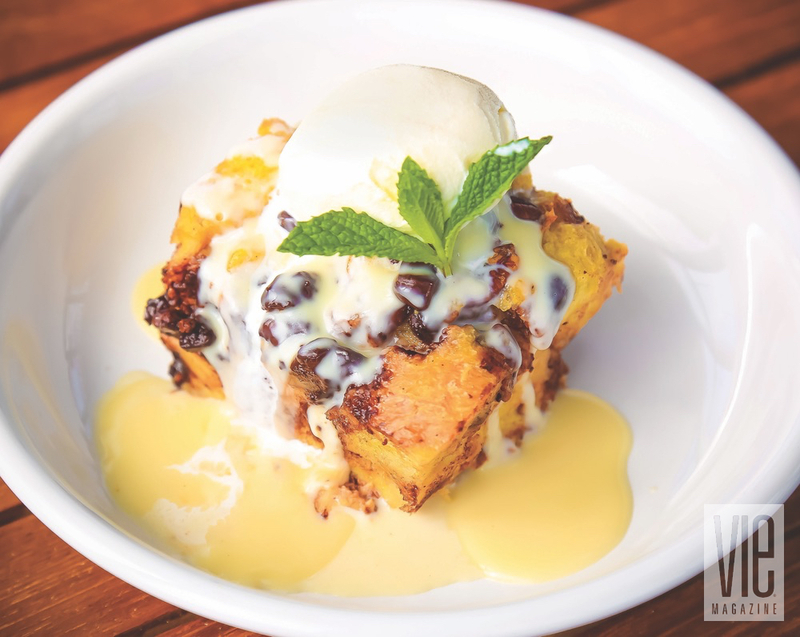 Bread pudding has long been a Southern dessert staple. These two recipes are sure to satisfy any sweet tooth! Preheat convection oven to 300 degrees. Beat eggs until foamy. Add sugar, vanilla, nutmeg, and butter, and beat again until you have a well-blended mixture. Add milk, raisins, and nuts to mixture. Pour mixture over bread cubes in a large mixing bowl and stir well so bread cubes are covered. Pour into a greased 12″ x 20″ x 4″ hotel pan or cake pan. Let stand for thirty minutes, stirring occasionally to make sure the bread cubes have absorbed the liquid mixture. Bake for thirty minutes. While the bread pudding is baking, make the signature Whiskey Bravo sauce. Mix melted butter and brown sugar, and heat on medium until bubbling. Add whiskey and simmer for five minutes. Add heavy cream and reduce to a syrup consistency. Remove from heat. After thirty minutes of baking, check the center of the bread pudding—if soggy, bake for another fifteen minutes. The bread pudding should firm up in the center. Cut dessert while warm and pour Whiskey Bravo sauce on top. Serve with a scoop of vanilla ice cream and enjoy! Preheat oven to 325 degrees. Grease a 12″ x 10″ x 2″ metal pan and set aside. In a large bowl, combine bread, pecans, and three-quarters of the chocolate chips. Meanwhile, in a small saucepan, melt butter. Remove from heat, and add half-and-half, sugar, vanilla, cinnamon, and pinch of salt. Crack eggs in another bowl and whisk together. Add eggs to cream mixture, and then pour over cubed bread. Gently mix together and let sit for fifteen minutes to let bread absorb cream. Pour mixture into greased pan and top with the rest of the chocolate chips. Bake on center rack in oven for forty-five minutes or until knife inserted in the middle comes out clean. For the sauce, combine cream, butter, sugar, salt, and vanilla in a small saucepan and bring to a simmer over medium heat. Combine half the whiskey with cornstarch and mix thoroughly. Add to cream mixture, stirring constantly until cream thickens. Remove from heat and add remaining whiskey. 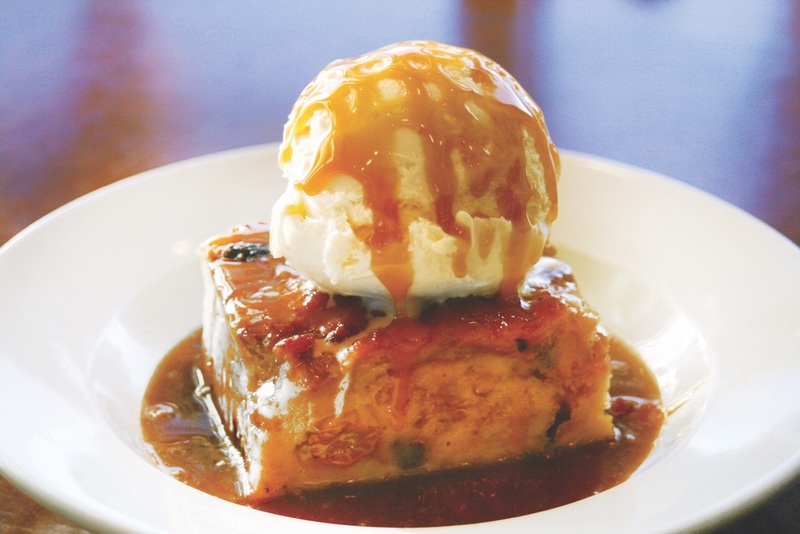 Bread pudding can be served hot or cold or at room temperature. Refrigerate any leftovers. Bon appétit, y’all! A true Southern tradition! Alabama foodie and blogger Elisabeth shares this classic recipe, adapted from The Pioneer Woman. Follow Elisabeth on Instagram at @elisabethandbutter. Combine sugar, brown sugar, salt, corn syrup, butter, eggs, and vanilla together in a bowl and mix well. 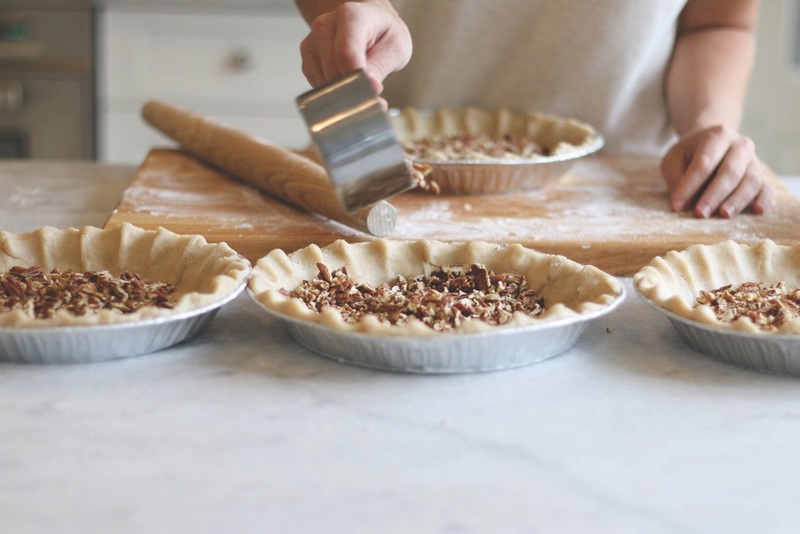 Pour chopped pecans in the bottom of the unbaked pie shell, and pour syrup mixture over the top. Cover top and crust lightly with aluminum foil. Bake pie at 350 degrees for thirty minutes. Remove foil, and continue baking for twenty minutes, being careful not to burn the crust or pecans. Pie should be firm when you remove it from the oven. If it is not, cover with foil and bake for an additional twenty minutes or until set. Cut and serve pie by itself or with a scoop of vanilla ice cream and a cup of coffee. Yum! 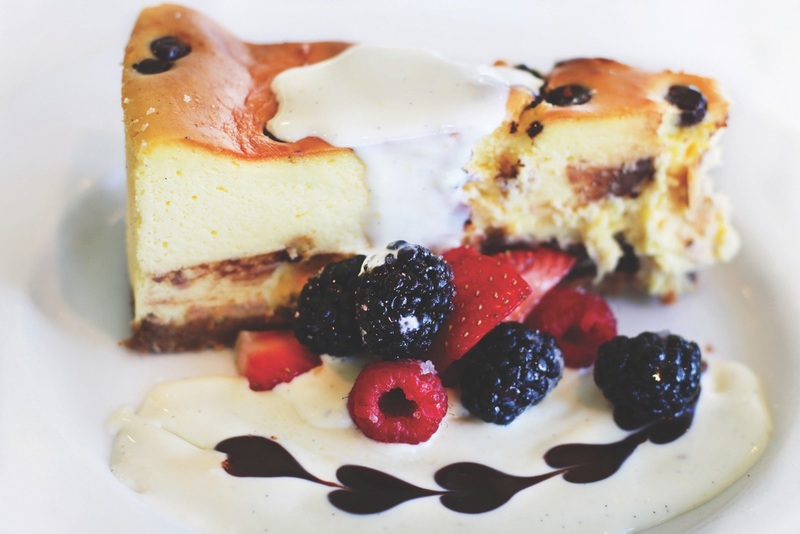 This classic Italian dessert gets a Southern twist at a favorite Seagrove Beach, Florida, restaurant. Scrape the vanilla beans and mix the seeds in with the sugar. Gently heat the cream and sugar mixture together in a saucepan. Meanwhile, bloom the gelatin sheets in cold water. Add the cream cheese and gelatin, and mix on low heat until everything is incorporated. Pour the mixture into your serving vessel of choice, and allow it to cool. Once cooled, the panna cotta will be set. 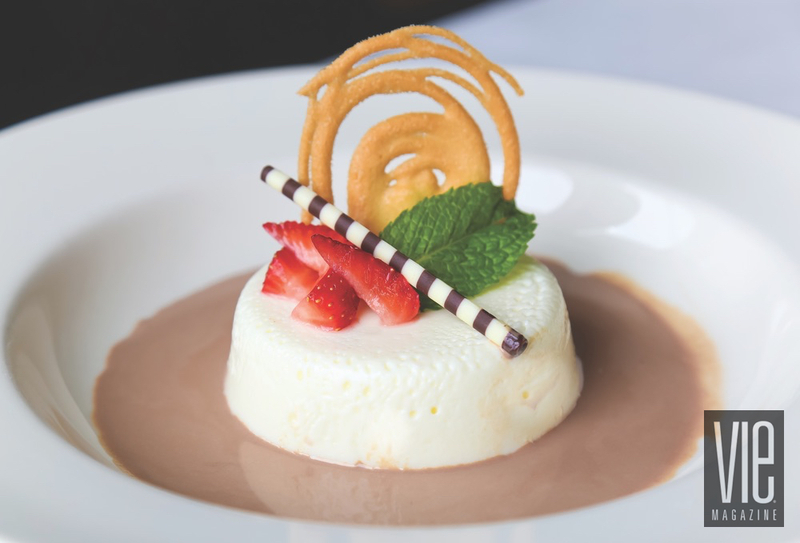 While the panna cotta cools, gently mix chocolate, heavy cream, milk, and sugar in a double boiler to make the chocolate soup. Add the spices and let the soup steep for thirty minutes. Strain through a cheesecloth and keep warm; serve over cooled panna cotta. Garnish with your choice of fresh fruit, chocolates, or mint. Enjoy! What’s better than remembering childhood campfires and warm nights on the beach? 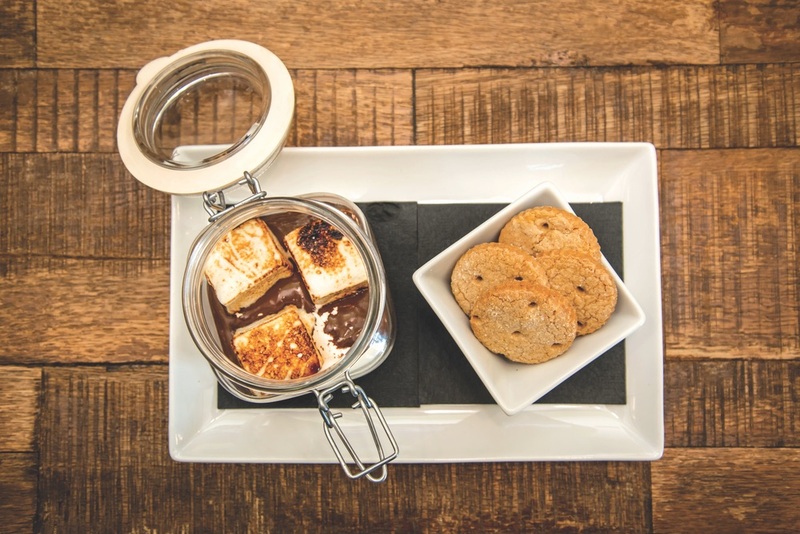 Re-creating them with this delicious homemade recipe that’ll have you wanting s’more! Vanilla Marshmallows: Hydrate gelatin by stirring it into the cup of cold water. Combine the sugar, glucose, remaining 3/4 cup of water, honey, and trimoline in a saucepan, and cook to 250 degrees. Pour the cooked sugar mixture into the bowl of a twelve-quart mixer, and allow it to cool to 210 degrees. While it is cooling, melt gelatin over a water bath. Add the melted gelatin to the cooled sugar, and whip on high for eight minutes—or until well aerated. Add the vanilla extract. Spread onto a well-oiled half sheet pan. Place an oiled piece of parchment paper on top and flatten. Let set overnight. Dust with equal parts cornstarch and powdered sugar, and cut to size. Dust marshmallows again after they are cut. Spiced Chocolate Sauce: Combine chocolate with spices in a mixing bowl. Warm crème anglaise over low flame until it’s just hot enough to melt chocolate. Pour over chocolate and let sit for one minute before stirring. Stir until well combined. Marshmallow Fluff: Combine the sugar, corn syrup, water, and salt in a saucepan and boil over high heat until it reaches 240 degrees. When mixture is at 235 degrees, start whipping the egg whites and cream of tartar on medium-high speed. When egg whites are frothy and sugar mixture is at 240 degrees, slow mixer down to medium speed and slowly pour in sugar mixture along the side of the bowl. Whip on high until it forms a firm peak. Gingerbread Cookies: Sift dry ingredients together in a large bowl. Cream the butter, sugar, and molasses until light and fluffy. Add egg to creamed mixture and mix until combined. Add sifted dry ingredients and mix until combined. Wrap dough and refrigerate at least thirty minutes (or overnight) before baking. Remove cookie dough from refrigerator, shape into one-inch balls, and bake at 325 degrees for twelve minutes. To Make S’mores: Toast marshmallows lightly. Layer marshmallow fluff, spiced chocolate sauce, and toasted marshmallows in a mason jar or other small container, and serve with cookies on the side for spreading. Just like the old days! 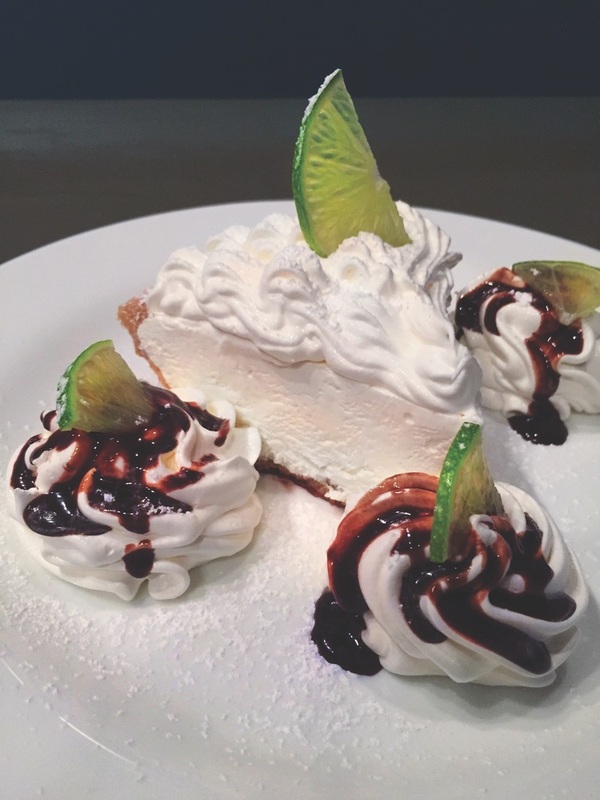 In the most Southern of mindsets, Key lime pie is the perfect after-dinner treat for island dreamin’. Here, we have a classic recipe and one with a strawberry twist. Best enjoyed while humming along to Jimmy Buffett! Preheat the oven to 350 degrees. Break up the graham crackers, place in a food processor, and process to crumbs. (If you don’t have a food processor, place the crackers in a large plastic bag, seal, and crush the crackers with a rolling pin.) Add the melted butter and sugar to the crumbs, and pulse or stir until combined. Press the mixture into the bottom and sides of the pie pan, forming a neat border around the edge. Bake the crust until set and golden, usually around eight minutes. Set aside on a wire rack, and leave the oven on. Meanwhile, in an electric mixer with the wire whisk attachment, beat the egg yolks and the lime zest at high speed until very fluffy, about five minutes. Gradually add the condensed milk and continue to beat until thick, three to four minutes longer. Lower the mixer speed and slowly add the Key lime juice, mixing just until combined and no longer. Pour the mixture into the crust and bake for ten minutes, or until the filling has just set. Cool on a wire rack, then refrigerate. Freeze for fifteen to twenty minutes before serving. Whip the cream and the confectioners’ sugar until nearly stiff. 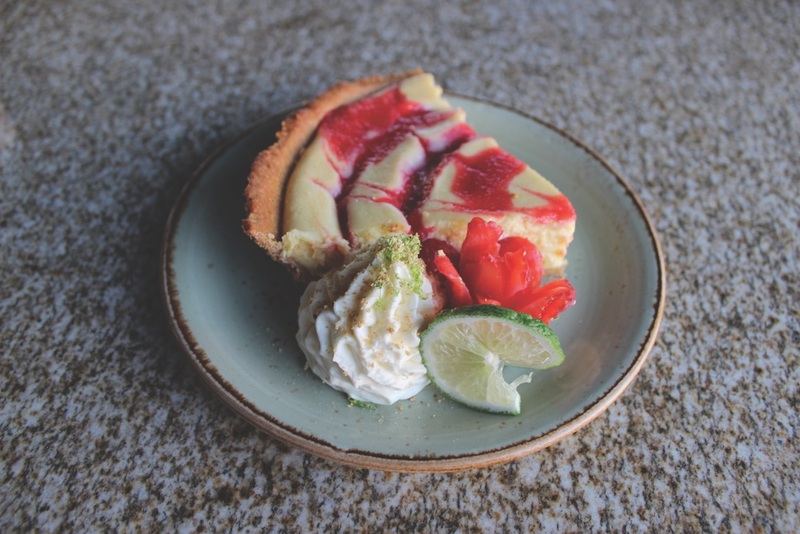 Cut the pie into wedges and serve very cold, topping each wedge with a large dollop of whipped cream and a slice of lime. You’re ready for an island getaway! Preheat oven to 275 degrees. Separate egg yolks and whites. Whip egg whites, and coat the inside of the pie shell with egg-white wash. Bake pie shell for about five minutes, then cool. Turn oven up to 300 degrees. Beat egg yolks and lime juice until light and fluffy, for about three minutes. Add condensed milk, and mix by hand until combined, for about two minutes. Pour into the prebaked pie shell. In a blender, combine strawberries, water, and sugar. Strain into a two-quart pot and bring to a boil for about five minutes. Dissolve one envelope of plain gelatin in the sauce, and remove from heat. Place into refrigerator until mixture is slightly thickened. In a swirling motion, beginning from the middle of the pie and moving to the outer shell using a tipped squeeze bottle, slowly line the inside of the pie with strawberry sauce. Then, with a toothpick, make straight lines from the middle of the pie to the crust, all the way around the pie. The result should look like a starburst. Bake the pie for fifteen minutes or until slightly firm. Refrigerate for at least one hour and serve with fresh whipped cream and remaining strawberry sauce. Delicious! For the chocoholics out there! This creamy topping is the perfect finishing touch for your favorite brownie, cake, or cookie recipe. Melt chocolate chips and butter on low heat until smooth. Stir in the sweetened condensed milk. 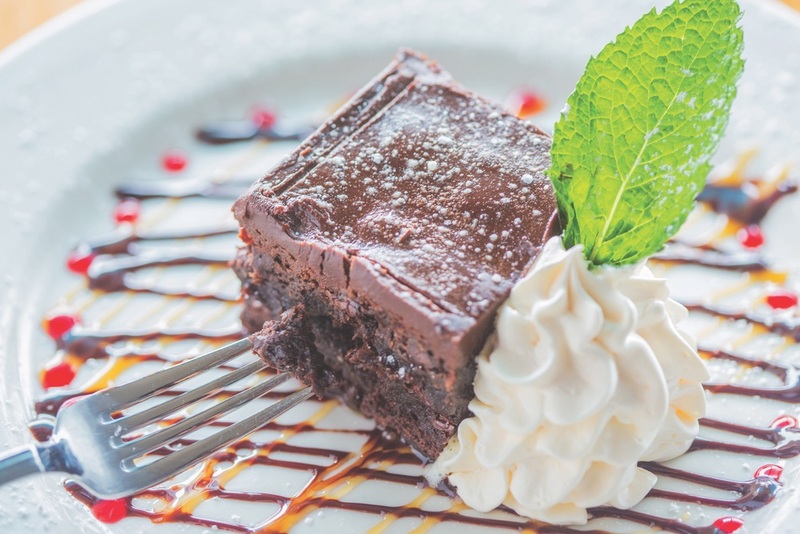 Top your favorite dessert with the ganache for an extra-rich experience. Garnish with fresh fruit and powdered sugar. Luscious! We couldn’t have a desserts section without including cheesecake! This decadent recipe has it all—chocolate and vanilla and whipped cream, oh my! Preheat oven to 375 degrees. Mix cream cheese and sour cream in mixer for eight minutes. Add sugar, egg yolks, and vanilla bean seeds to mixer. Mix for an additional five minutes. For crust, mix melted butter and graham cracker crumbs. Spread evenly with hands in bottom of a round cake pan (16″ diameter). Pour cream cheese mixture on top and sprinkle with chocolate chips. Place pan in water bath and bake for thirty minutes, then turn oven to 300 degrees and cook for an additional thirty minutes. Then lower your oven temperature to 250 degrees, and cook for forty-five minutes. Allow cheesecake to cool, and serve garnished with fresh fruit, fruit puree, and a dollop of whipped cream. Perfection! For this dessert, we decided to venture a little farther south—south of the border, that is! Preheat oven to 350 degrees. Gather a four-inch-deep Bundt pan and a four-inch-deep pan to place the Bundt pan into. Caramel Topping: Measure sugar and water and add to a saucepan. Do not stir together. Place over medium to high heat, and bring mixture to a boil. Cook until sugar caramelizes (golden brown). Do not stir the mixture. Do not burn the sugar. Remove from heat quickly. Sugar will burn very easily and quickly at this point. Pour the caramelized sugar into the Bundt pan. Rotate the pan around to cover the entire bottom and sides with caramel. Use a spoon to coat the center ring. Be careful—the pan will be hot. Set aside. Flan Mixture: In a large mixing bowl, add eggs, sweetened condensed milk, and vanilla extract. Mix well using a wire whip. Add milk, and mix well. Wrap the bowl with plastic wrap and place into the refrigerator to allow mixture to rest for five to ten minutes. This will prevent air bubbles in the final product. After the mixture has rested, pour the liquid into the Bundt pan. Carefully place pan into the second four-inch deep pan. Pour water into outside pan until the water reaches three quarters of the way up the outside of the Bundt pan. Do not splash water into the flan mixture. With the rack in the middle of the oven, carefully place both pans onto the middle rack and bake flan for two and a half hours. Set a timer for the exact cooking time so you do not overcook the flan. After the cooking time has expired, check the flan with a toothpick; it will come out clean if completely cooked. 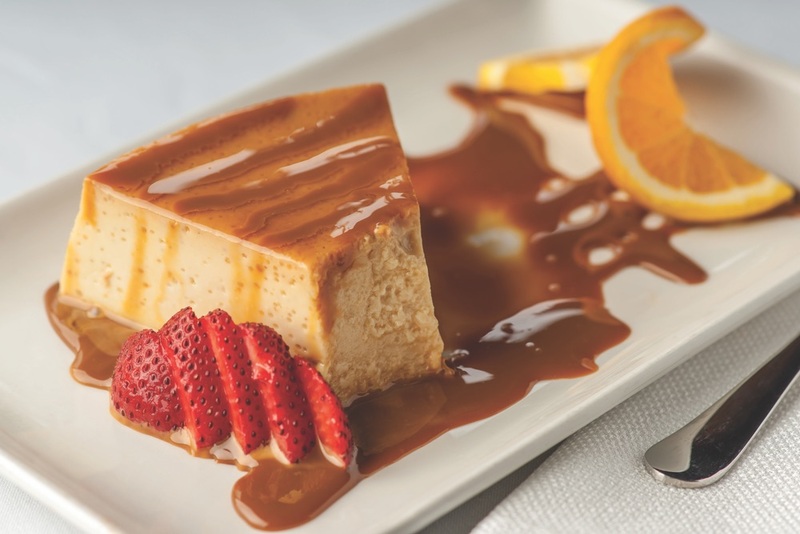 Remove the flan from the water bath, loosely cover the pan, and place it into the refrigerator for three hours. Removing Flan from Flan Pan: Wrap a sheet pan with plastic wrap. The sheet pan must have edges in order to contain the caramel. Run a dinner knife around the inside edges of the flan mold to loosen the flan from the pan. Invert the sheet pan and place it over the flan pan. Turn both the sheet pan and the flan pan over quickly and place on a work surface. The flan should slide out of the mold easily. Keep refrigerated until ready to serve. Olé! NOTE: When washing up, soak the flan pan in hot water to dissolve the hardened sugar. Attempting to “break” the sugar from the flan pan will damage the pan. 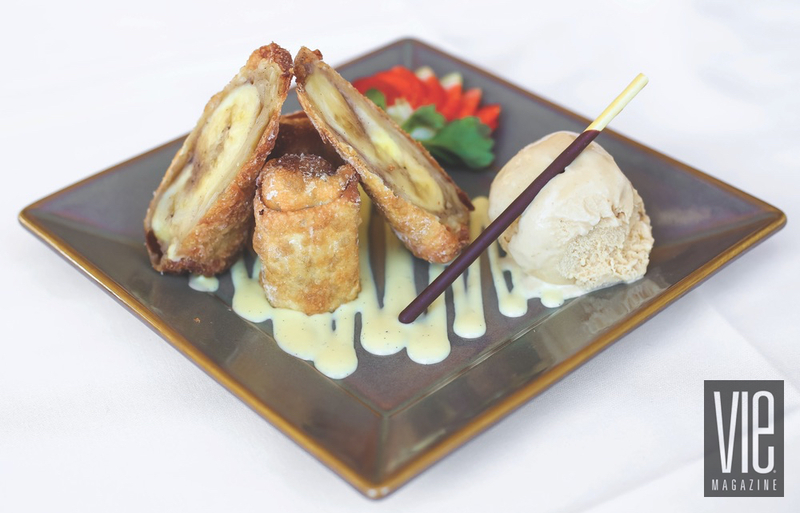 This Asian-inspired recipe is reminiscent of Bananas Foster, fusing Southern taste with Eastern flair. Melt butter in a sauté pan on medium heat. Add bananas, cinnamon, sugar, and coconut rum; stir gently. Bananas should remain firm. Remove from pan and cool for 30 minutes. In a small saucepan, prepare crème anglaise by heating heavy cream and vanilla until bubbles form at edges. While cream is heating, whisk together egg yolks and remaining one-third cup of sugar until smooth. Slowly pour half a cup of cream mixture into the egg yolks, whisking constantly. Gradually add egg yolk mixture back to the remaining cream mixture, whisking constantly. Continue to cook, stirring constantly, until the mixture coats the back of a spoon. Set aside to cool. Wrap one to two cooked banana slices in each egg roll wrapper. Whisk remaining egg and water together, and brush onto the edges of egg roll wrappers to secure. Deep-fry egg rolls until golden brown. Remove from fryer and cut diagonally on a plate. Finish by drizzling with vanilla crème anglaise and caramel syrup. Bon appétit!